Updated home stayed totally dry in Harvey! Open flowing floor plan with beautiful wood laminate and tile throughout first floor has soaring ceilings, French doors and tons of double pane windows make this home light and bright! 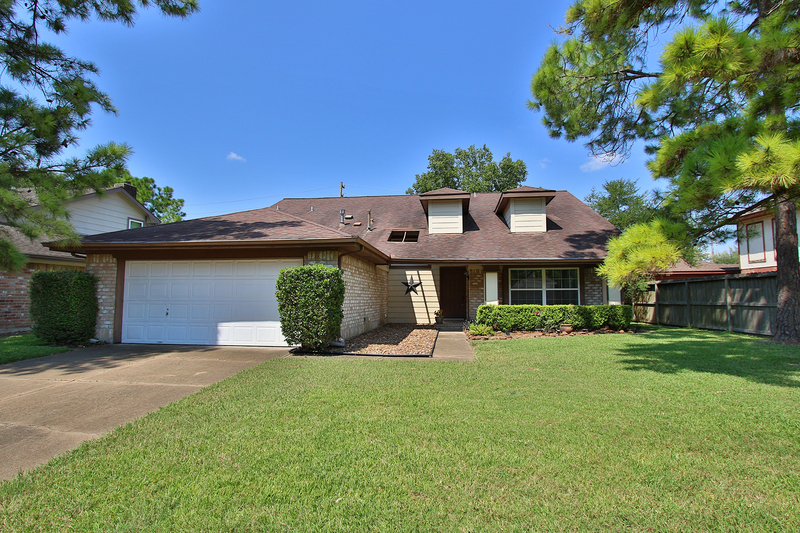 Chef’s kitchen with gas stove and granite counter tops open to family room that leads to shady covered patio perfect for entertaining or family fun. Master retreat downstairs with French doors to backyard retreat. Three spacious rooms upstairs with one over sized room great for game, media or study. If you are interested in buying or selling real estate in West Houston or the Energy Corridor, please contact Connie Vallone with First Market Realty at 713 249 4177 or visit www.houstonenergycorridorhomes.com or www.vallonehomes.com .